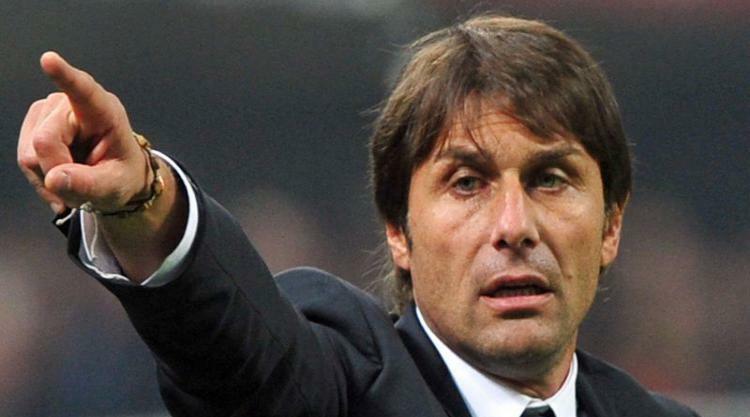 Antonio Conte would welcome January reinforcements at Chelsea. The Blues head coach has continually bemoaned balancing the hectic fixture schedule with his small squad. "If there is the possibility to improve the squad numerically it would be a good choice," Conte said on Thursday. "I'm ready to continue to play with all these players. They are showing me great commitment, great behaviours. "At the same time if there is the possibility to improve our squad, I think the club will try to do this." Chelsea will be without club record signing Alvaro Morata at Everton on Saturday. The 25-year-old, a £58million summer capture from Real Madrid, is suspended after collecting a fifth yellow card of the season. He celebrated his decisive goal in Wednesday night's 2-1 Carabao Cup quarter-final win over Bournemouth by putting the ball under his shirt in reference to his wife's pregnancy. The Spain striker also sucked his thumb. Morata avoided sanction from referee Lee Mason for that, but then kicked the ball away, prompting the caution and Conte to give him a mild ticking-off. "It's a pity, but we have to accept the decision, to try at the same time in the future to pay great attention," said Conte, who described Morata's absence as a "big loss". "In that moment we were enjoying the goal and I didn't see the situation. I knew that he tried to celebrate the goal with the ball under the shirt. "You can allow this, because this is a celebration. You are showing your joy." Conte is contemplating his options for the Toffees trip, with Marcos Alonso available following his own ban. But it appears likely he will deploy Eden Hazard as a 'false nine' following Michy Batshuayi's underwhelming performance against Bournemouth. Chelsea were drawn to play London rivals Arsenal in the two-legged semi-finals. The Gunners beat Premier League champions Chelsea in last May's FA Cup final to deny Conte the double in his first season as boss. The Italian dismissed suggestions of revenge. Conte added: "Revenge? When you face a big team, anything can happen. In this case Arsenal deserved to win the trophy. "This is a big game for us, a big game for Arsenal. When you reach the semi-final you must be ready to face big teams." While Batshuayi's performance left plenty to be desired, Ethan Ampadu earned plenty of praise on his second Chelsea start. The 17-year-old signed from Exeter in July, but a tribunal is yet to determine the fee. The Sky Bet League Two Grecians issued a statement on Thursday on the back of Ampadu's man-of-the-match display. Exeter chairman Julian Tagg said: "We don't have a date yet for the tribunal but the arbitration is taking its natural course and we will inform fans when we know more. "Our relationship with Chelsea remains good, as it has been throughout this whole process and it is nice to see Ethan doing so well and earning praise for his performances at both club and international level." Conte recognises the Wales international's calibre. "I can count on him," he said. "This player is very humble despite being only 17 years old. He keeps the feet on the ground. "I'm sure this player won't lose his head."